These custom pillows and many more are now available at two new Canadian retail locations! They can be found at Switzer Cult Creative in Vancouver BC and Calla Design in Victoria BC. Switzer Cult Creative will be promoting Ivan as their only West Coast fabric designer. 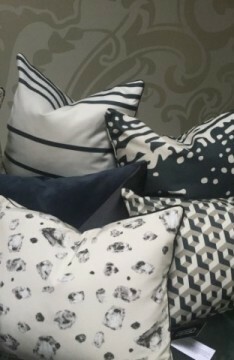 Ivan’s complete fabric line and a selection of custom pillows will be available at their new Vancouver showroom. When you visit, peruse their exclusive furniture upholstered in Ivan Meade fabric. Maybe even rest your feet? Calla Design also has a handful of custom pillows designed by Ivan. Say hello to Janice and Sue at their charming home furnishings store in Estevan Village! We are very eager to share this awesome post from MHV (Modern Home Victoria) Magazine featuring our west coast contemporary home redesign. An efficient layout with functional details creates a space that goes far beyond aesthetically pleasing. We want to thank Jody Beck for capturing this home’s simple west coast design that compliments the beautiful scenery beyond. We hope you enjoy it as well! 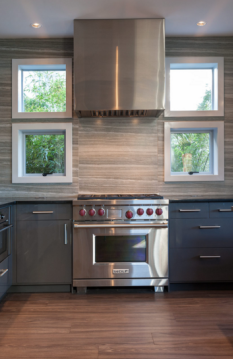 For Meade Design Group, the new year brought many new and inspiring projects, people and experiences. 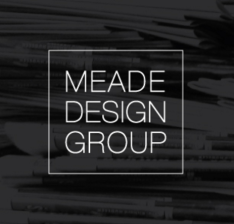 Catch up on all the latest news with Meade Design Group in our most recent MDG Times.